A few weekends ago I finally got around to making the last of my post-wedding crafts. 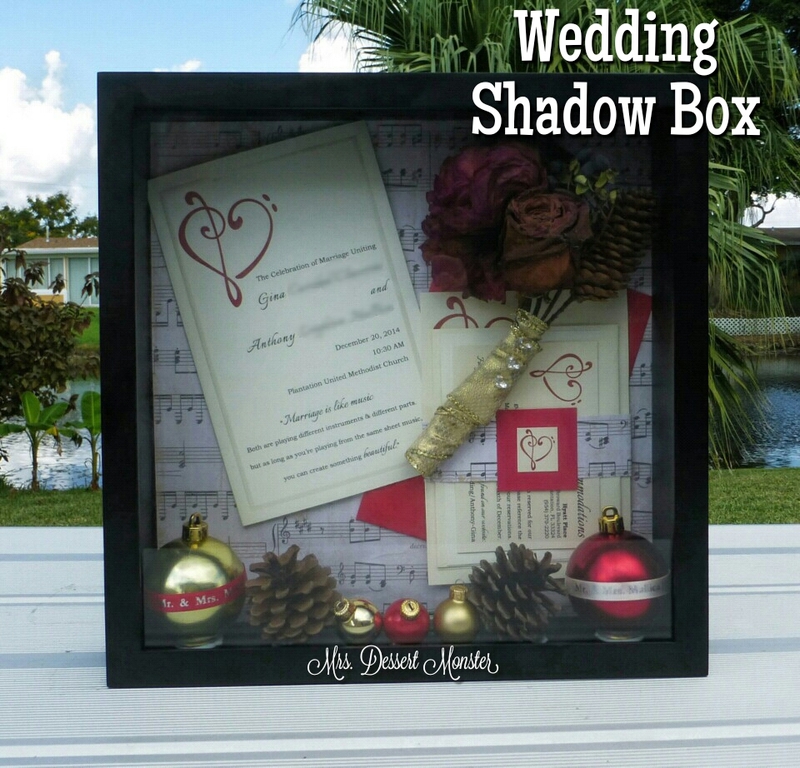 Shortly after our wedding last December, I bought a shadow box for wedding memories. 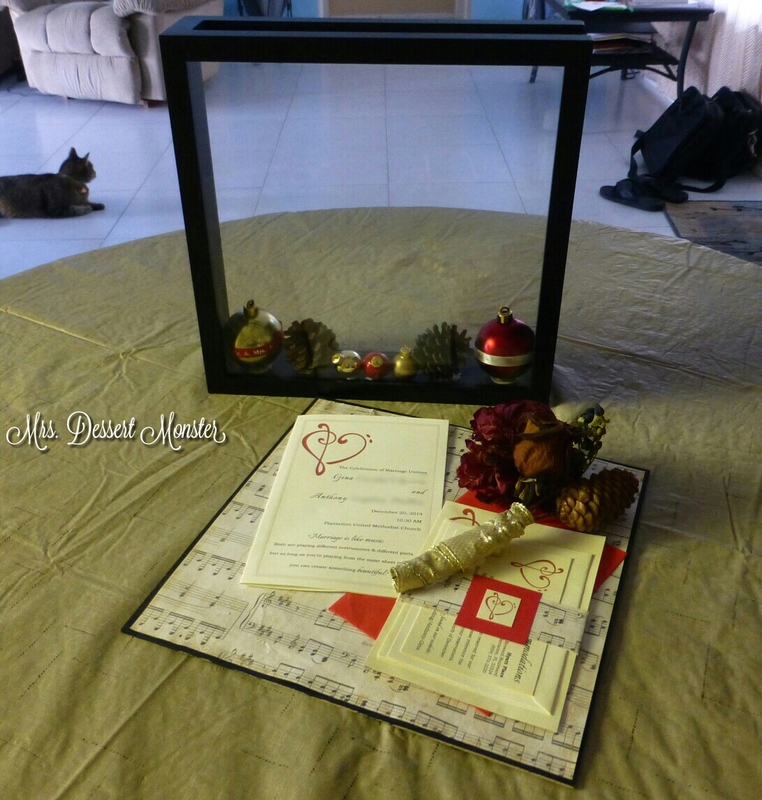 I knew I wanted to display our guest book records along with it – more on that later. So, I got to work on my shadow box on this free Saturday I had. It was a wonderful Saturday, one that had absolutely no plans or schedules. My husband & I got to stay home all day. We did some stuff around the house. I did some crafty things. We watched college football. We grilled up some steaks for dinner. I baked brownies for dessert. It was very relaxing & much needed. 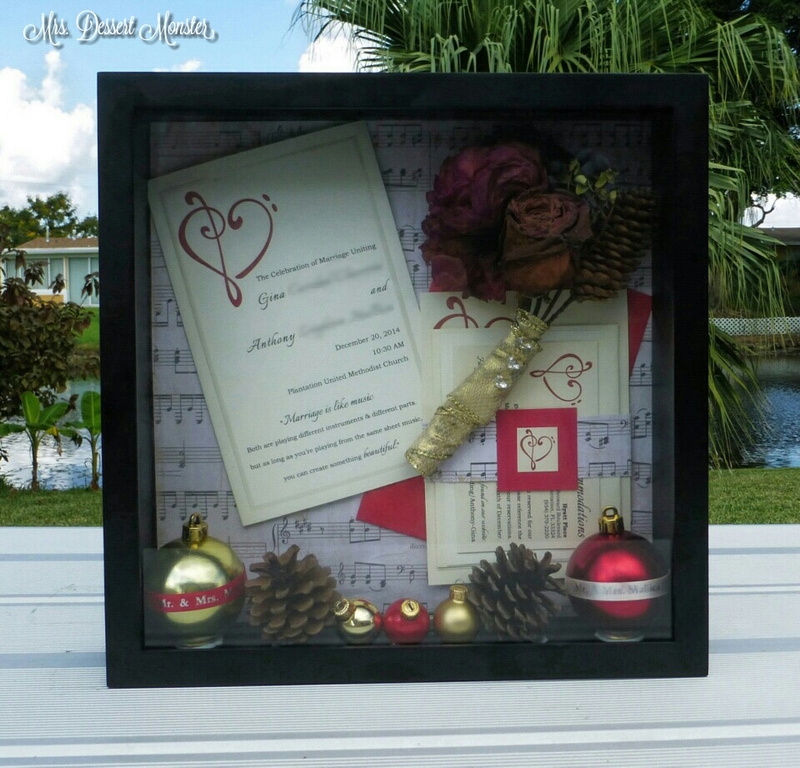 I had been saving extras of all of my wedding stationery, ornament favors, & cake decorations for this shadow box. 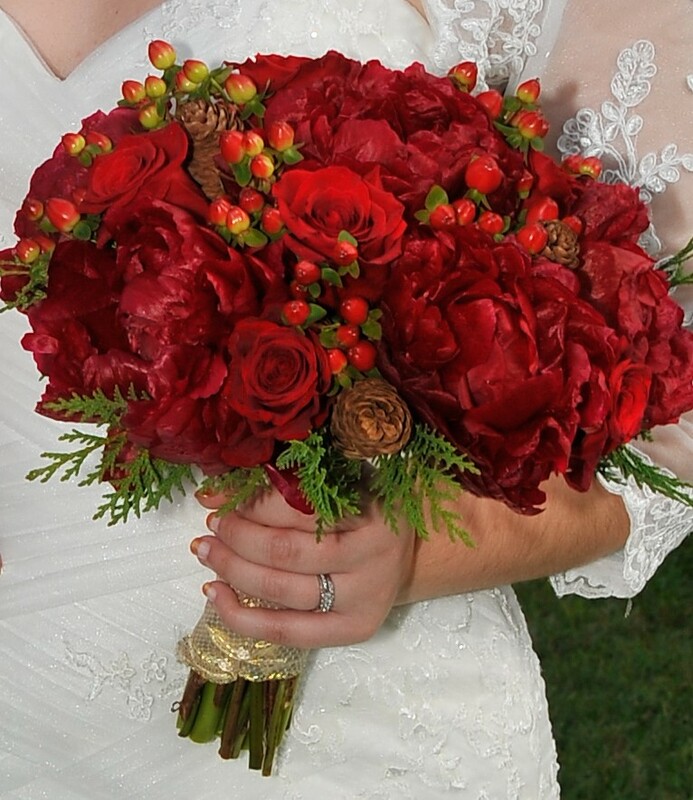 I also saved my bouquet – no fancy preservation or anything. My mom grabbed it for me the day of the wedding & it has been sitting in a mason jar on my vanity for months, drying nicely. Obviously it isn’t as bright & vibrant as when the flowers were alive, but it still looked pretty good. I didn’t want to use the entire bouquet, just one or two of each flower. 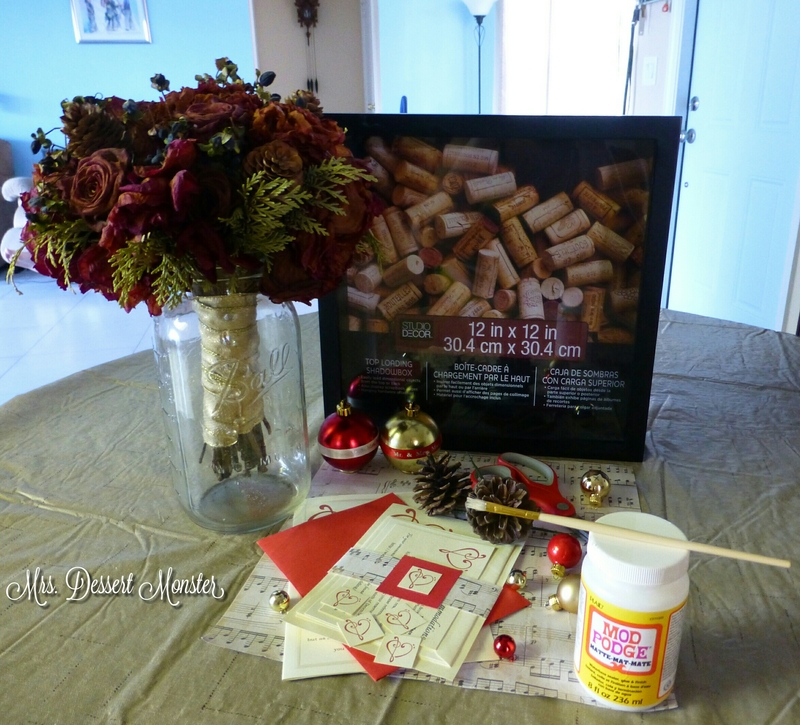 So I disassembled the bouquet & made my own little mini arrangement before using the original ribbon to wrap it up. Stanley kitty was hanging out with me while I assembled everything. I love this, and how you have the sheet music as the background!